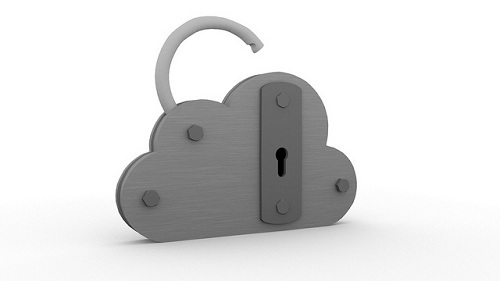 Can a Cloud Provider Read Your Data ? The Customize Windows > Computer and Internet > Cloud Computing > Can a Cloud Provider Read Your Data ? Can a Cloud Provider Read Your Data ? If you are jumping to answer either yes or no, that is not the answer. Whether the Cloud Provider read or not depends. It depends on many parameters which can give will give you the precise or at least a closer answer to the basic question : Can a Cloud Provider Read Your Data ? So, the answer to the basic question – Can a Cloud Provider Read Your Data, is not becoming very simple. If the cloud service offers both a desktop application and a web access for your easy access to your data with both using the same password for one account, it is very likely that your provider can read your data. The common access means that your account password is probably used to protect your data and is typically also used to unlock your encryption key. If you have the access to a cloud service or application by just providing your user name and password, your provider can almost certainly read your data. Just being able to access the data from any device to for a service like Dropbox or iCloud, the data is encrypted with a key, managed by the service provider. Of course, since Dropbox stores only file you can apply to this to your encryption before Dropbox sees them (i.e. uploaded a password protected zip file). This does not mean that services such as Dropbox or iCloud are necessarily insecure, they generally have extensive controls to prevent their employees spying the users’ folders. The owners or board of directors definitely nor sneak your data, but their employees can. The problem is that these services are not suitable for all users in all cases, especially for organizations or activities related to business users or research. Ultimately, if you use Private Cloud, among the Cloud Services, this is most secured; Second will be IaaS and Hybrid Cloud, Third will be a simple Linux Cloud Virtual Private Server (VPS). There is practically no security for SaaS like you use the emails like GMail, Hotmail etc, Image services like Flicker. If you close the common ports, a Virtual Private Server actually becomes quite secure as no one can actually login to the root especially with extra security measures alert systems, logging etc. This Article Has Been Shared 618 Times! Articles Related to Can a Cloud Provider Read Your Data ? Title: Can a Cloud Provider Read Your Data ? Cite this article as: Abhishek Ghosh, "Can a Cloud Provider Read Your Data ?," in The Customize Windows, October 20, 2012, April 21, 2019, https://thecustomizewindows.com/2012/10/can-a-cloud-provider-read-your-data/.